Welcome to the Woodstock Inn! Woodstock Inn and Event Center consists of two adjoining properties - the inn, and the 120 year old Victorian Mansion. The Inn has well-appointed European themed rooms, all with ensuite bathrooms. The Victorian event center is full of handcrafted carpentry and vintage details. The properties are joined by a charming garden big enough for a 100-person wedding, but private enough to lounge and linger with a book next to a bubbling fountain. It is with pleasure that we invite you to be our guest at Woodstock Inn. Curl up in front of a fire in our Italian suite, linger in the Riviera Suite, or cozy into our English spa room. Enjoy breakfast served from our Old English kitchen, and relax around the French trestle table as we enjoy sharing our Inn with you. We specialize in creating a sense of relaxed luxury where our guests feel pampered and special, and quite at ease. 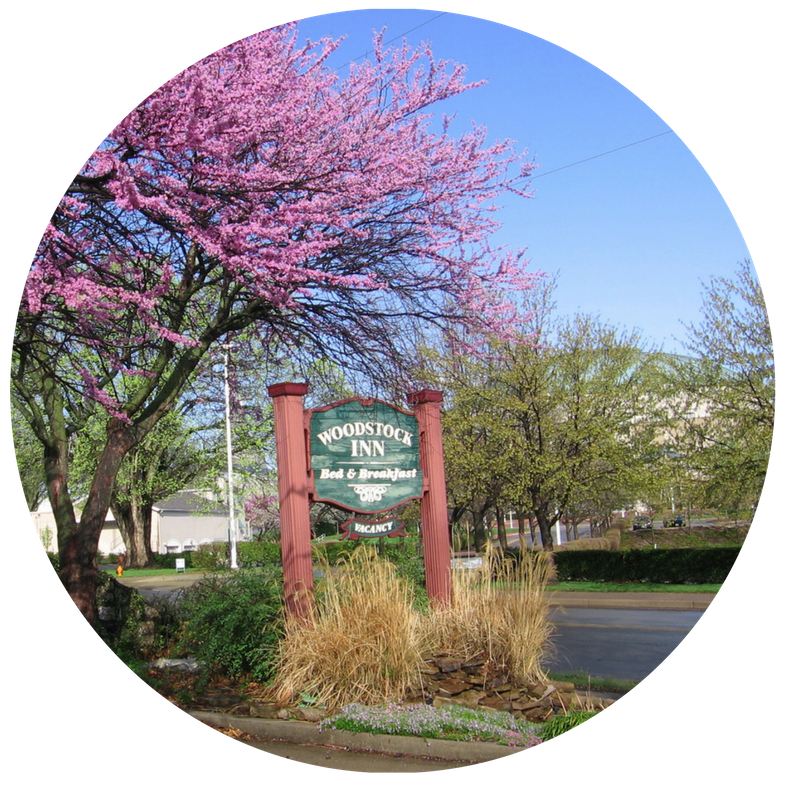 Conveniently located at the heart of a Historic Western town, we are just paces away from a bus stop, 300 meters from an Amtrak station, and just a couple of minutes drive from Interstate 70, and the Truman Sports Complex where major professional sporting events and concerts take place. Please be our guest, and consider Woodstock Inn your own special getaway!